Tarot is responsive to change throughout our lifetime. The questions asked of the most ancient oracles are the questions that are asked now and will be asked in a thousand years. Tarot becomes part of the way we view life and the way we live it. So, we learn what life reveals in every card. Remember then, from the very beginning, to discern the biggest picture and the smallest detail. 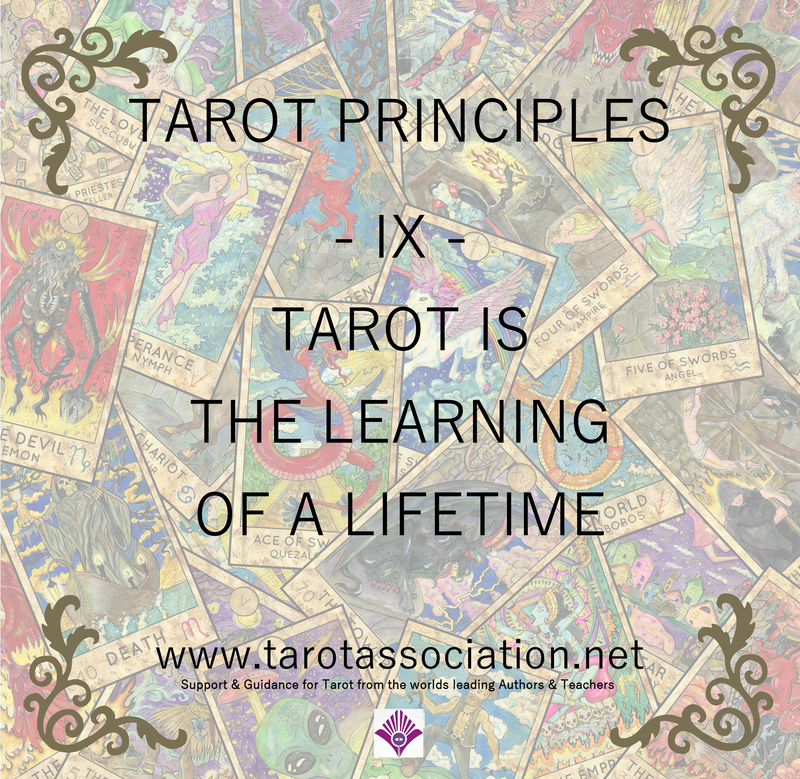 This principle applies at every stage of learning tarot, from the beginner, to the experienced professional, to the enthusiastic with many years of passion. We should allow tarot to encourage our insight into the patterns that play out over a whole lifetime as much as we try and see detail in every symbol. In the asking of questions from ourselves and others, we begin to become aware of the similarity of behaviour and response despite the diversity of circumstance. If we continue to read tarot over decades, studying the distant past and proposing new futures, we are changed by it and our life is changed by it. In turn, this makes us a better reader, able to see beyond the present moment and into the bigger question. One of the things we hear many tarot readers say after ten or twenty years – even thirty years or more – is that they still always have something more to learn about tarot. So, whilst we can teach someone to read tarot in three minutes, or ten minutes, if we have time, it is like chess – the rules are simple, but the play is endlessly complex. Today, take out the Hermit card from your deck. 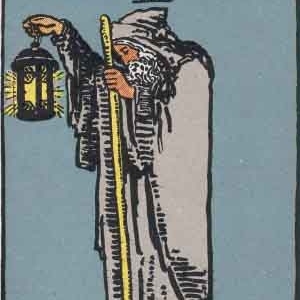 The Hermit can represent Solitude. Notice today the moments that you are by yourself. Notice today the moments you are in company – of any sort. Notice today when you feel alone even if you are with other people. Notice today when you feel like you want to be alone or in company. Notice today when you see someone else who is alone. Notice today when you see a person in a crowd. 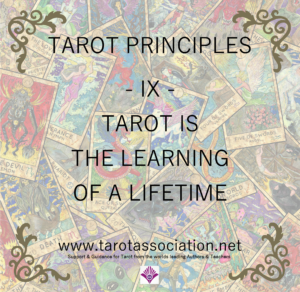 Learn to see the Tarot in your lifetime, learning every moment. I am presently writing by myself. I look out the window and see someone crossing a road, by themselves. Tonight, I will go to a Karate class and be with other people, but I will have to face my own individual limits and successes in training. Be aware of the exercise as often as you can through the day. However, if you forget, gently bring yourself back to it. It is better to notice one thing properly than many things improperly. Extend the practice to solitary items, objects, or even abstractions. Consider how a tarot deck is a collection of seventy-eight cards, not just the Hermit. Consider how you choose one apple from a box of many apples. Consider how one word might change a life or shine a light on one particular thing previously lost in a confusion of many things. Consider that a particular moment is unique amongst all moments. Be the Hermit today in everything and see what you learn in living life through tarot.